Sub-zero daytime temperatures by middle of next week? 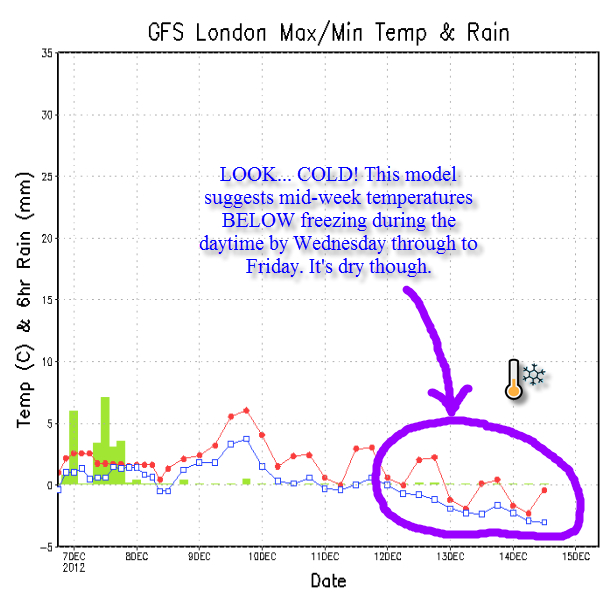 Reigate could experience some chilly day time temperatures from mid-week onwards next week. -3C at lunchtime on Thursday for example? Check the causes in the posts below.